Three San Francisco police chiefs have tried and three have failed. San Francisco police Chief Greg Suhr on Wednesday decided to shelve a proposal to equip some of his officers with stun guns. The chief said today that although his plan was more fine-tuned than his predecessors’, there was still too much opposition in the community. Suhr announced his decision at Wednesday’s meeting of the Police Commission at City Hall. The pilot program would have allowed certain officers who had undergone crisis intervention training to handle the devices, while previous San Francisco police Chiefs Heather Fong and George Gascon had pushed for their use by all officers. “I thought I had a more practical approach,” Suhr said today. He had asked for the use of Tasers last year after a deadly officer-involved shooting, saying they would provide officers with a less-lethal option when defending themselves. The Police Department held multiple community meetings earlier this year to get recommendations on what the proposal should look like and Suhr said the restrictions that were proposed would have prevented officers from using the devices against almost any type of person. “It’s young people, it’s old people, it’s pregnant women, some suggested all women, people that are mentally ill, people that are in crisis, which is the exact population we’re trying to not have to harm if they come at the officers. Wet people, which I guess would rule out rainy days, near roadways, and on and on and on,” Suhr said. The chief said the Police Department is still studying other options besides stun guns. Officers currently are able to use a shotgun that shoots beanbags and is the equivalent of “being hit by a hard fastball,” Suhr said. 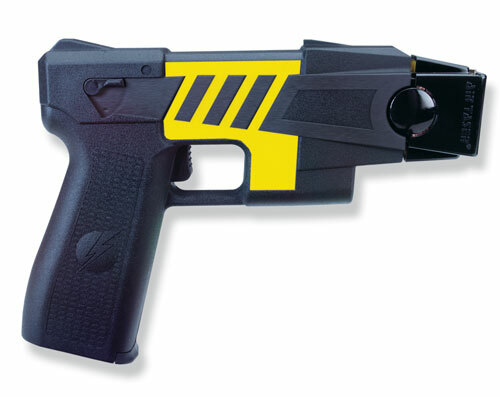 The chief’s decision was lauded by civil rights and homeless advocate groups, including the group Coalition on Homelessness – San Francisco, which opposed the proposed use of Tasers, saying they are too dangerous and are often used unnecessarily. However, the San Francisco Police Officers Association is disappointed that the proposal is not going forward. Although Suhr said he thought the Police Commission would have approved the pilot program, union vice president Martin Halloran said he thought the Police Commission pressured the chief to drop it. The devices are used by nearly every major police department in the country, as well as the San Francisco Sheriff’s Department, which has had Tasers since 2002. Gascon, who is now San Francisco’s district attorney, said he was also disappointed that the plan is being shelved.